in the middle of the San Bartolo Natural Park overlooking the sea. 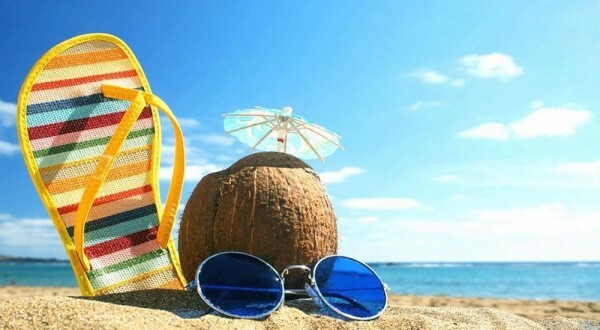 renovated spaces, warm pool with hot tub, terrace-solarium with jacuzzi, what's more to add for a perfect relaxing holiday? 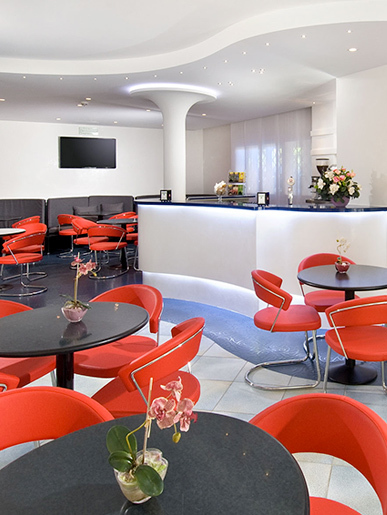 we pay extraordinary attention to our cuisine and this is the plus to our Hotel. 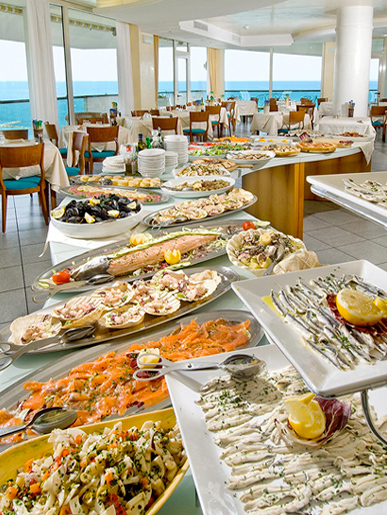 International and local dishes, fresh fish and homemade pasta at lunch and dinner all perfectly cooked by our experienced chefs. to feel a guest, not a customer. We, the Usuardi family, has been welcoming our guest in the warmest way since 1946, and this is the key of our success. I lose myself in the infinite blue of the sea. I am sitting in my room but I feel as suspended between the sea and the sky. 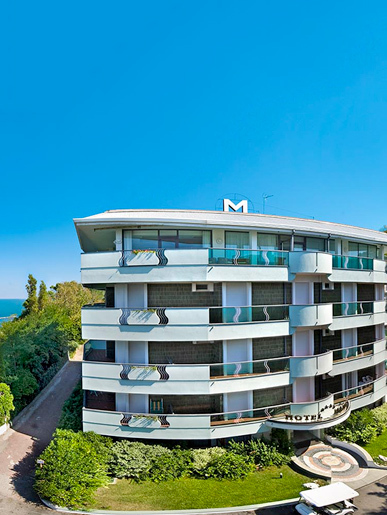 From the big balcony of my room I can admire the golden beach and the beauty of the Monte San Bartolo Natural Park. Around me everything is linear, natural, cosy. It is a new day and I know it is going to start in the best possible way: a rich breakfast, a bath in the jacuzzi in the pool and a full day by the sea. 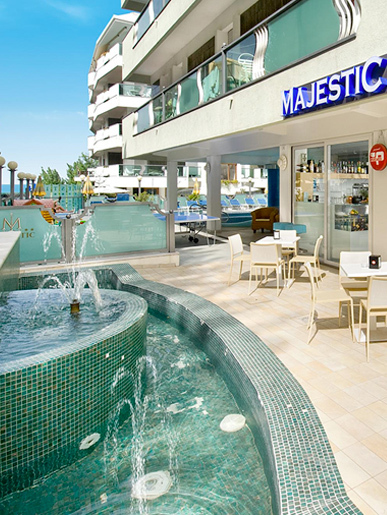 I am at the Majestic Hotel in Gabicce Mare and I am enjoying an unforgettable holiday.